Try delectable dishes at the best restaurants in Georgetown. 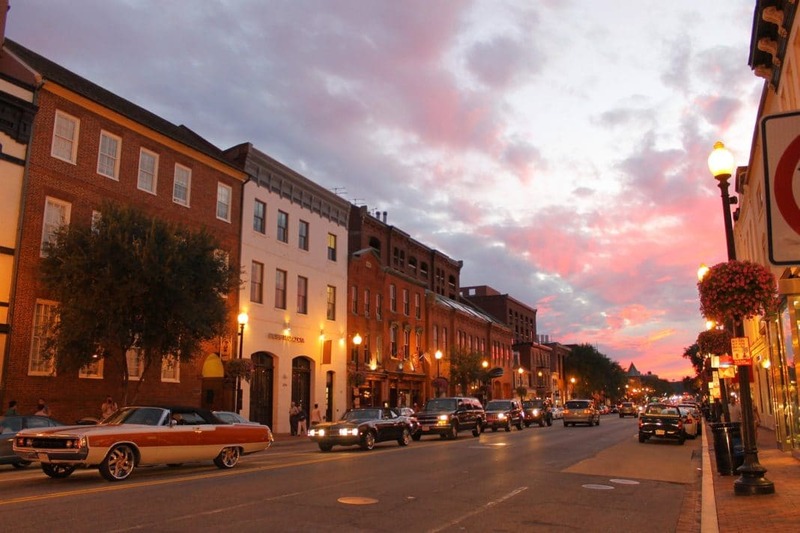 The area of Georgetown contains a variety of both classic and contemporary restaurants and bars. Founded in northwest DC in 1791, this city has developed its culturally complex dining scene over many years. From Mexican to Italian or simple, all-American cuisine, Georgetown represents various areas of the world with its culinary venues. Whether you want a quick, healthy lunch or a lengthy gourmet meal, Georgetown has something to offer you. Check out our article below to learn about the best restaurants in Georgetown to satisfy all your food cravings. Located in the center of Georgetown, this restaurant offers Southern French cuisine to visitors and residents of the city. 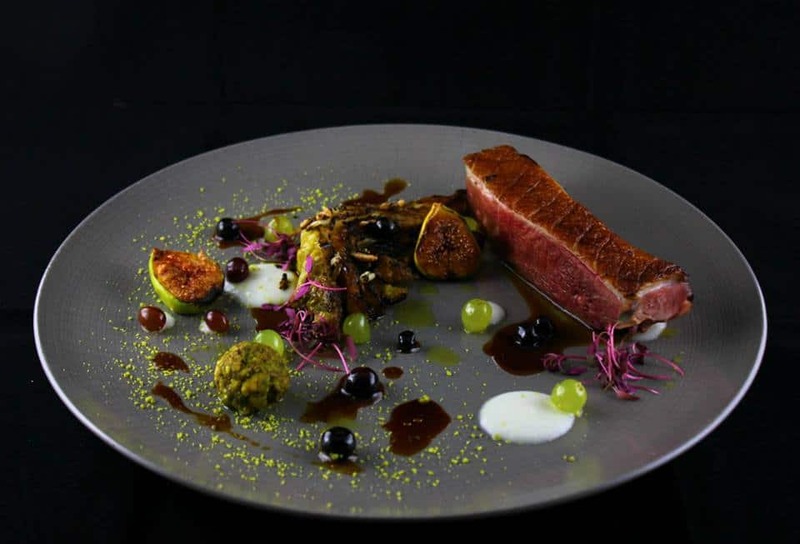 Chef Brendan L’Etoile of Chez Billy Sud has prepared extensive menus highlighting gourmet cuisine from the French region. While dining inside this restaurant, guests will feel at home with the welcoming atmosphere and traditional designs. Perfect for a meal with friends or family, Chez Billy Sud remains an ideal place to eat alongside loved ones. Depending on the time of day, guests can choose from a variety of tasty menu items. Start your day on a sweet note with a brunch of cinnamon sugar brioche beignets. Sip a few cups of ceremony coffee or hot tea alongside your delicious pastries. You could also have a classic mimosa if you’re interested in some late morning drinks. For dinner guests, dining options include steak frites, chicken liver mousse, sautéed trout, and potato crusted salmon. After eating, you’ll understand why Chez Billy Sud remains one of the best restaurants in Georgetown. History lovers will want to stop for a bite to eat at 1789 Restaurant. As an example of the best restaurants in Georgetown, 1789 lets diners try delicious meals amidst real history. The restaurant contains many antique decorations from America, creating a colonial-inspired environment. Situated inside a renovated Federal-style house, guests will experience a piece of the past while they eat. 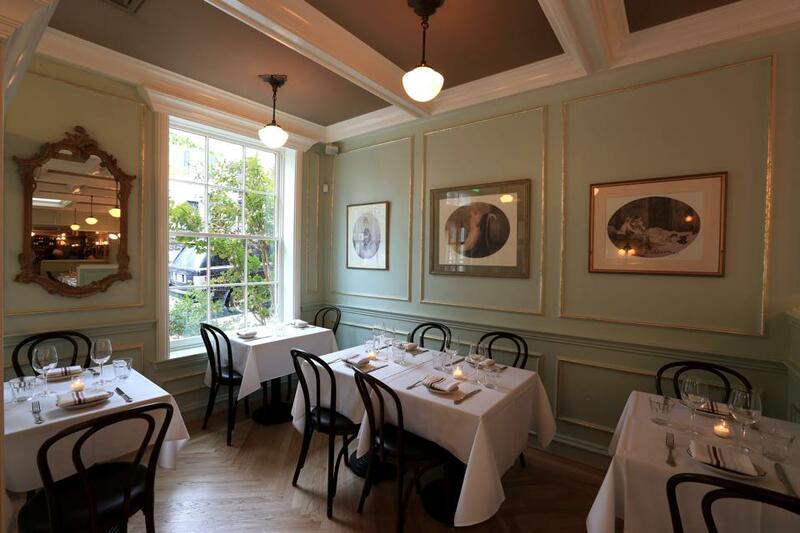 With its elegant, old-world features, 1789 heralds a sophisticated, yet warm dining setting. 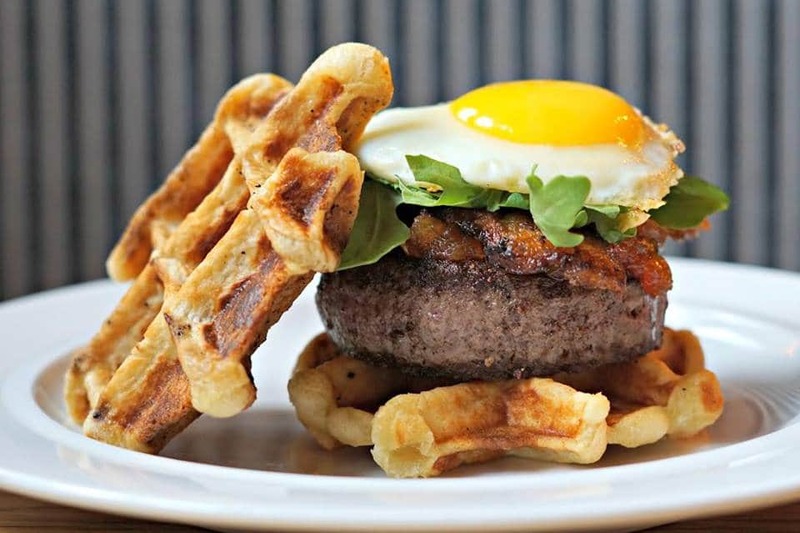 If you’re looking for some all-American fare, 1789 remains a great dining spot for you. Providing seasonal American cuisine, this restaurant only uses the freshest ingredients in their recipes. The fruits and vegetables served here have all been sourced from local farms. Dinner choices, such as yellowfin tuna, striped bass, and jumbo scallop will satisfy those who enjoy seafood. You can also pick from the five-course tasting menu, which has items like seared halibut and tournedos rossini. 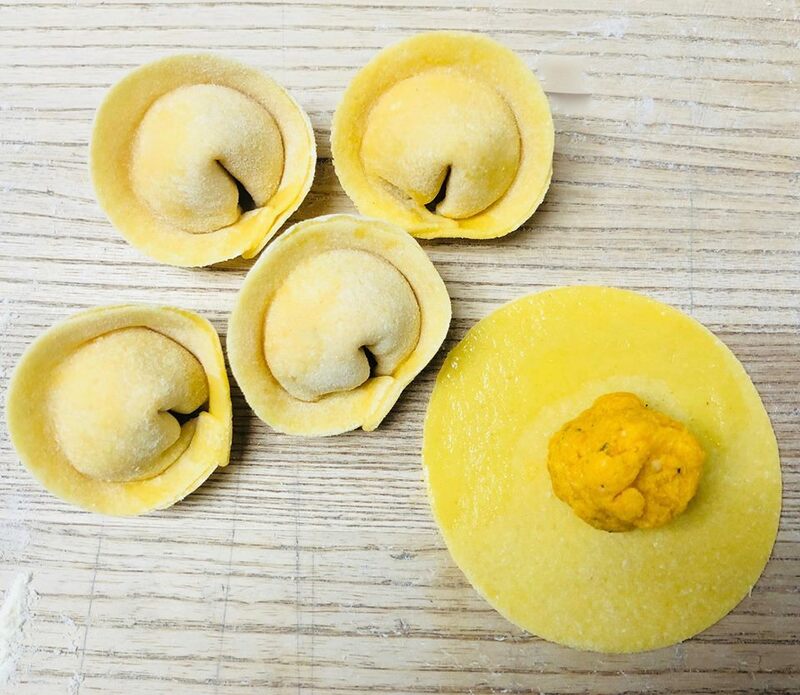 Craving some homecooked Italian food? Filomena Ristorante emphasizes cuisine that makes diners feel content and comforted, as if they’re enjoying a meal with family. 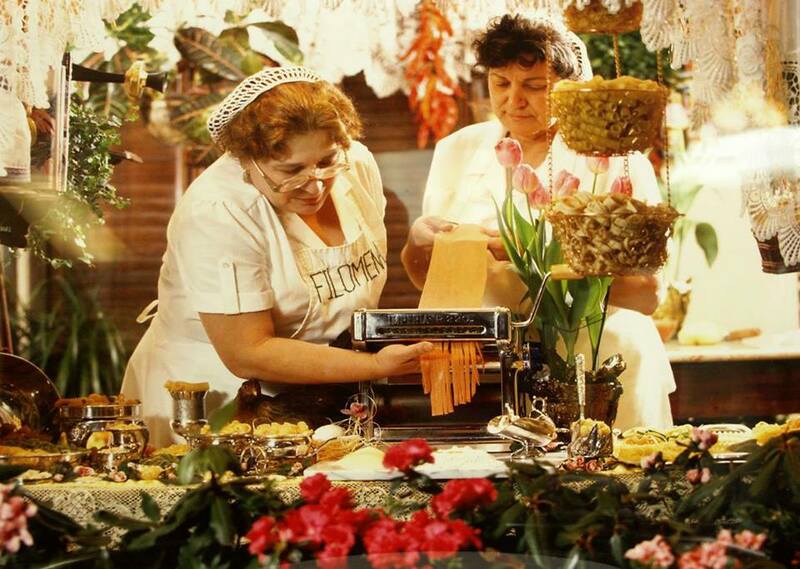 The recipes served here have been passed down from the restaurant owner’s mother, an Italian woman named Filomena. Joana Filomena’s main desire in starting up her own restaurant was to provide more than just food to diners. Rather, this restaurant hopes to provide a cozy place for sharing time with loved ones. At Filomena, guests can try all the delicious foods that make this spot one of the best restaurants in Georgetown. Stop by for a quick lunch of fettucine alla carbonara, gnocchi della mamma, or veal picatta. If you want to split a dish, pick one of the yummy pizzas available, such as a margherita or Napoli. To finish your meal, enjoy a tasty dessert, like chocolate mousse and cannoli. If you’re a fan of four-legged creatures, Crumbs & Whiskers should be the next venue you try in Georgetown. This unique cat café experience allows guests to play with cats as they enjoy a coffee or light snack. Founded by an animal lover, Crumbs & Whiskers provides a home for rescue cats that can also be adopted. As one of the best spots in Georgetown, this location won’t disappoint when it comes to providing an exceptional experience. When you come to Crumbs & Whiskers, you can enjoy a delicious drink, like a cat-uccino, or a hot chocolate. Along with your beverage, munch on a yummy red velvet macaron made fresh daily by local partner, Olivia Macaron. Since this cat café experience limits the number of guests in the space at a time, they do require bookings in advance. 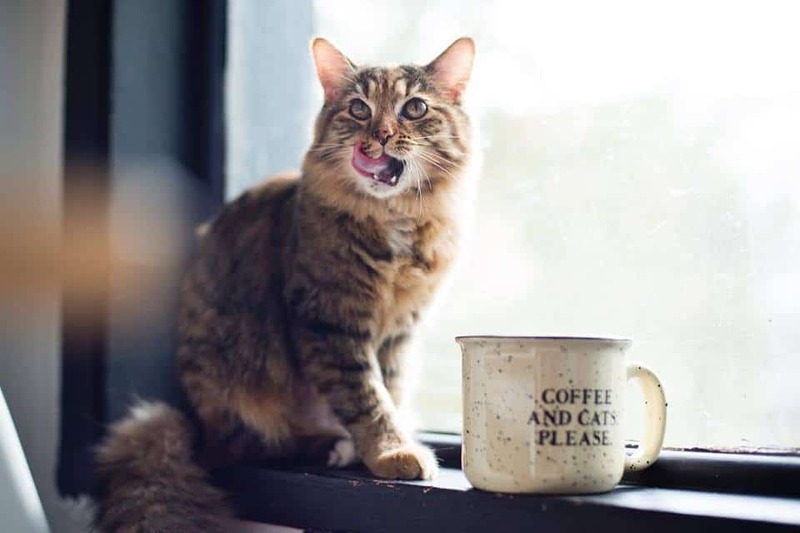 Just make sure to book your experience ahead on www.crumbsandwhiskers.com to ensure you’ll get quality time with cute cats while you’re in Georgetown. The second Italian-inspired restaurant on our list, Café Milano serves genuine Italian dishes in a boutique-style setting. Guests can sit outside on the patio during warmer parts of the year and watch DC crowds pass by. The sidewalk patio will give guests a taste of Milan streets, which remain littered with outdoor cafes. Inside this space, diners will appreciate the stylish atmosphere, with painted murals and framed designer scarves hanging on the walls. While eating at Café Milano, you’ll come to understand why its one of the best restaurants in Georgetown. The menu tends to be flexible, so you can choose exactly what you’re craving when ordering. Items offered include insalata nizzarda, ravioli cavalli, and risotto armani. Whether you want pizza, pasta, or salad, you’ll find something tasty to eat while here. This bar and bistro celebrates Belgian culture in the heart of northwest DC. The best restaurants in Georgetown provide delicious food and a unique dining environment, and The Sovereign is no exception. With a huge variety of beers available, this restaurant gives guests a glimpse of Belgium’s famous brewing culture. You won’t have to book a flight in order to experience some of this European country’s traditional fare. The Sovereign’s head chef combines German, Dutch, and French cooking methods to create truly special dishes. Dutch mussels, traditional stews and braises, as well as crispy flatbread include just a few of the tasty menu items. If you like beer, make sure to try a glass or two of a Belgian-style ale. Or, taste another of the bistro’s many brews, as they have over 50 different drafts available for consumption. Vegans and vegetarians will love this restaurant’s no-meat policy. 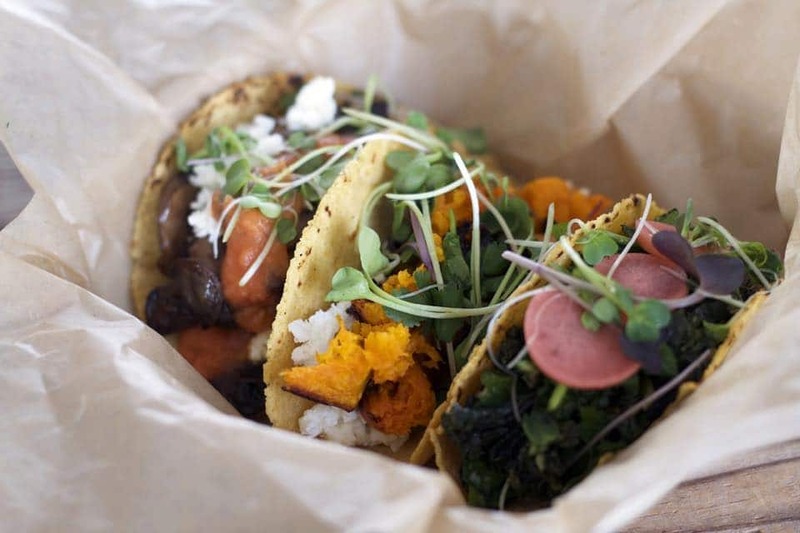 At Chaia, diners can eat a variety of plant-based tacos curated by talented chefs. Anyone hoping to include more vegetables in their diet should start with a few bites at this dining location. The tacos served here represent the ultimate comfort foods that have been created with fresh, healthy ingredients. All the plant-based dishes on Chaia’s menu have been crafted using farm-to-table ingredients. You’ll be able to taste the freshness in every bite of your mushroom, butternut squash, or smoky collards tacos. Additional sides, such as green rice or black beans, can be ordered if you’re still hungry. The vegan treats available will also satisfy your sweet tooth, with options including a seven-spice chocolate bar and coconut cookie. Even if you’re not a vegetarian or vegan, consider going to Chaia, one of the best restaurants in Georgetown. 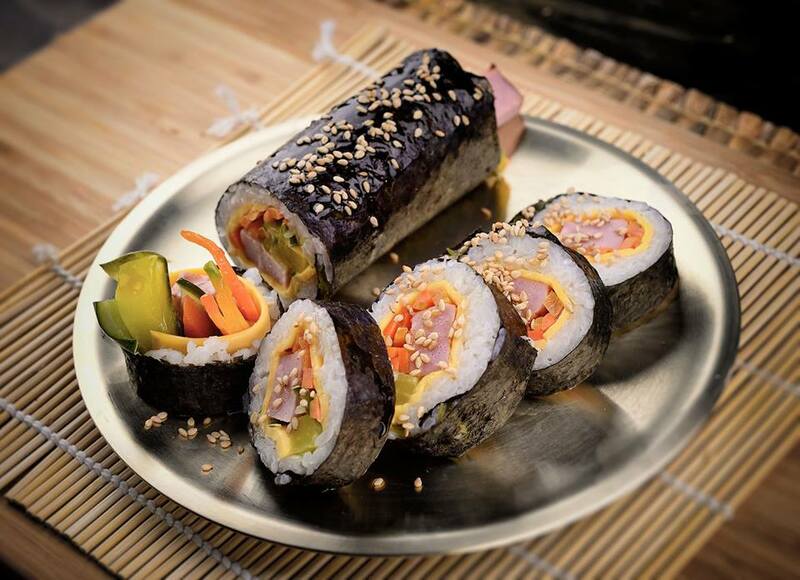 An example of the best restaurants in Georgetown, Zannchi serves exciting and delicious Korean cuisine. Zannchi, which means “feast” in Korean Hangul, provides DC visitors and residents with an unforgettable eating experience. Sit around tables inside this modern restaurant alongside family or friends and enjoy a meal in a relaxed setting. Since the restaurant utilizes recipes that combine traditional Korean and American elements, guests will eat foods with unique flavors. The simple menu at Zannchi offers a host of healthy food options that don’t skimp on tastes. Dishes served here include signature Korean tapas, or Banchan, as well as Bibimbap, which contains rice, vegetables, and additional toppings. You can also order from the grill and get marinated beef brought to your table on a sizzling plate. For chillier days, try some spicy seafood stew to warm you up. Chef Richard Sandoval created one of the best restaurants in Georgetown with El Centro D.F. Sandoval, an internationally renowned chef, decided to start this restaurant in order to bring authentic Mexican flavors to DC. The owner’s hope was that residents and visitors to Georgetown could enjoy the same dishes he grew up loving. While eating inside this two-story restaurant, diners will appreciate the laid-back atmosphere and Mexican art features. 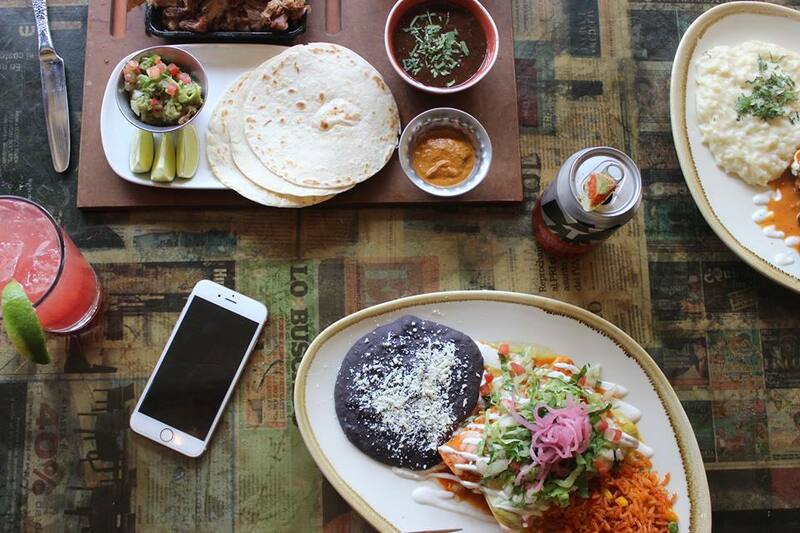 If you’re looking for a quick bite to eat before exploring the city, stop by El Centro for lunch. Food choices for the afternoon include pork carnitas, tortilla soup, shrimp ceviche, chicken quesadillas, and more. Those traveling in groups or pairs should pick a lunch trio, which includes two dishes, soup, and rice and beans. Don’t forget to order a spicy mango margarita to sip on while you eat. 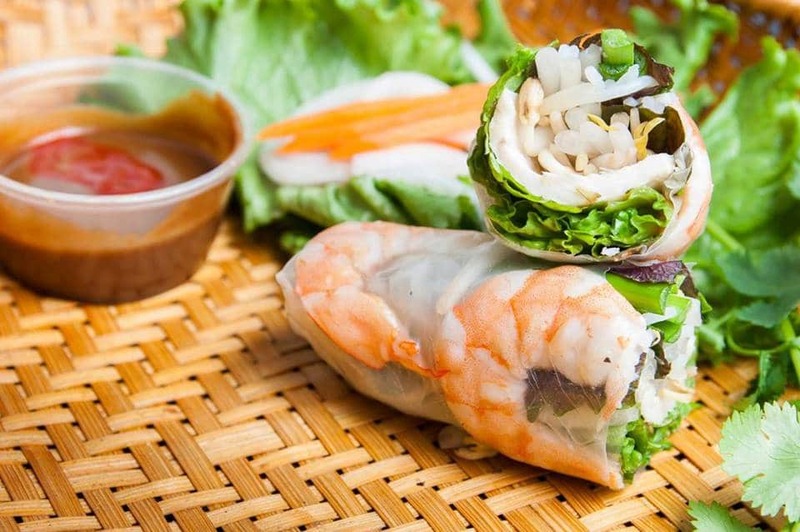 At Simply Banh Mi, guests can enjoy authentic Vietnamese cuisine during their visit to DC. Owned by a brother and sister duo hoping to honor their mother’s recipes, this restaurant provides only delicious, reasonably-priced food. The restaurant also includes vegan, gluten-free, and halal options, so everyone can enjoy something while here. As one of the best restaurants in Georgetown, Simply Banh Mi ensures guests won’t suffer due to limited food selections. When you dine with Simply Banhi Mi, you can choose from a number of tasty Vietnamese dishes. Meals like banh mi sandwiches or beef pho will satisfy any cravings for comforting, savory foods. You may also order a few sides with your meal, such as fried bananas, spring rolls, and zucchini fries. Additionally, consider ordering a Vietnamese iced coffee to reenergize after a long meal. Try a bite at one of Georgetown’s best restaurants. One of the best parts about visiting a new place has to be trying all the local foods and restaurants. When in Georgetown, you’ll find a huge variety of dining spots to explore. You can easily find the dish you’re craving, as restaurants in this city offer every type of cuisine imaginable. On your next visit to DC, make sure to venture through the streets and check out the exciting dining scene. Hopefully, our list of the ten best restaurants in Georgetown has inspired you to taste some truly amazing dishes. You have made a very accurate list as it actually includes the places to eat in DC. I have been to Zannchi and I loved it as its spirals menu covers offers best dishes.